Elizabeth Pearce is a mutant experimented by Hydra 50 years ago. The experiment caused her to grow wings, aged much slower than normal humans, and have energy manipulation power. After Hydra was destroyed, she lived in a secluded monastery under the guidance of its last priest. He was the one who cured Elizabeth's heart and soul, and he always said that one day, she would save humanity. Many years had passed since the priest died, leaving Elizabeth alone in the monastery. One day, the Chitauri attacked earth, and only then she knew that its time for her to come out. Using the name Archangel, she fought alongside the Avengers, and falling in love with the most unlikely. I DO NOT OWN ANY OF MARVEL'S CHARACTERS AND IMAGES. IF YOU KNOW THE ARTIST WHO MADE THE PICTURES I USED, PLEASE KINDLY  INFORM ME. The battle at New York has just passed. With the city left in disarray and quickly getting back on its feet, it's back to business for Emily. She is back to her usual schedule, which she's been doing for her entire 16 year old life: running, surviving and trying to forget. When She somehow gets herself mixed up with the avengers, she fears the danger that follows. She has Jim, her best friend, but she knows she is unstable. She knows she's a ticking time bomb. That's why she's always trying to get lost. The Cheshire Cat. A girl who can't seem to stop grinning, despite the hardship she's suffered. When Nick Fury decides to recruit the crazy twenty three year old, even though he knows almost nothing about her, her past starts to creep over her. And almost dampens her smile.
" I'm in, you seem desperate." Luna, the goddess of the moon was Nick Fury's secret helper. From saving squads and hacking. Let's not forget making sure he still has feeling. Also get Fury and Maria together! What happens when she needs to help the Avengers? Will they except her? Soldaat also known as sol which is her nick name. She is from a tribe in Africa which is very hidden. She was the daughter of the chief and the head warrior of her tribe. She was not afraid of anything. She has taken on many things in her life. She is also very smart and went to college in America where she was the smartes student there. She excelled in everything she did. She was trained in every weapon known to man and unknown. But now she was called forth and asked to come to Pandora where a tribe of navi lived. What will happen when she is put into the Avatar program? What will happen when she meets the navi? Katie is a not so normal nineteen year old who has been with SHIELD all her life, and now she is asked by Loki himself to speak with him. Little does she know, she just drafted herself to help save Asgard. Katie is about to learn what really makes her stick out to the god of Mischief, and why she doesn't fit in with anyone, on Earth and on Asgard. *This was the first story I ever published on Wattpad, so it is totally unedited. If you want to read a more well written story about Loki, check my account for Chosen. If not, read on at your own risk! Elaina Monecelli has something inside her that she has to constantly fight, something that has turned her bitter. Katrina Joyal has been running from the law since high school, but that's just made her more determined to help people as a masked hero. Elizabeth Mason has been asleep for ten years, and now that she's awake, she's out for revenge. What do these three different girls have in commen? They're all about to come face to face with Bruce Banner. And not a single one is going to walk away unchanged. Cecilia is an outcast at Camp Jupiter for being the daughter of the virgin goddess, but she refuses to go to the Greek Camp in New York. Unsure where to turn, she begins looking for her father. trickster. The liar. The infamous Loki Laufeyson. Two souls bound forever, and two hearts couldn't be further apart. Tasha's backstory will unfold throughout the chapters of this novel. I started this story when I was fifteen, and I'd like to think my writing has gotten much better since then. 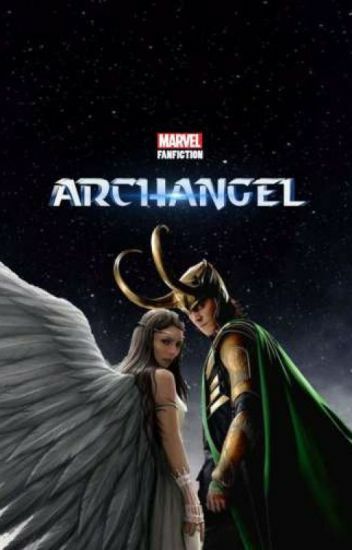 Though, if you'd like to read my first adaption of this story (set during Thor 1) my fanfiction.net account is xxneverxlosexhopexx . Jade Tarrow is only nineteen and she's already broken every bone in her body nine times. So her personal life (and that of her friends) is a pretty "hush-hush" situation. Of course that's pretty difficult when you literally crash into Avengers' Tower. Now it will take a patient Hulk, a motherly Black Widow, and a responsible Tony Stark to get the teen to open up...before it's too late. If that's not enough, Jade's 'in the like' with a villain. They're doomed. Someone blowing a hole in the side of their (newly repaired) building. A pissed-off Scotswoman (or Englishwoman, the author couldn't seem to make up her mind). A man with an inglorious tendency to stick said Scotswoman with sharp needles. And a cat, simply because the author's cat kept walking across the keyboard. Becca was special.. Always was. She was short tempered and stubborn. Until she meets a god named Loki...... Then everything changes.